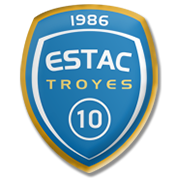 Troyes failed to impress in a previous two editions of the Coupe de la Ligue, with the team suffering early exits in those campaigns. Jean Louis Garcia’s men are fully focused on securing the Ligue 1 survival and we would not be surprised if the French tactician mixes the squad against Amiens. 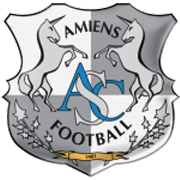 Les Licornes, on the other hand, have been struggling in front of goal of late and it has to be noted that under 1.5 goals were scored in each of Amiens’ previous three away games in the French top flight. Christophe Pelissier’s men are on a three-game losing run in the French League Cup and, no doubt, they want to put an end to the negative trend. However, considering that Troyes are tough to beat at home, we predict that the two teams will play out a draw (90 mins) in Wednesday’s football game at Stade de l’Aube. Jeremy Cordoval began his senior career at Troyes and he made nine appearances in the league for the club from 2008 to 2010. Cordoval then joined Beauvais and after playing 37 games for the Stade Pierre Brisson outfit, he moved to Cannes at the end of the 2010/2011 season. The 167-cm-tall right back obviously likes changing clubs as he left Cannes at the end of the 2011/2012 campaign, signing a contract with Creteil. After making 35 appearances in the league for les Beliers Jeremy Cordoval joined Nimes in the summer of 2013. The right-footed defender played for Les Crocodiles from 2013 to 2016 and then he made probably the best decision of his career as he signed a deal with Troyes. 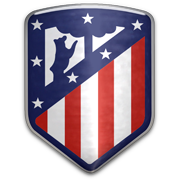 The Stade de l’ Aube club impressed in the 2016/2017 Ligue 2 campaign and, as a result, Jeremy Cordoval will have a chance to taste a top-flight football. The French footballer was born in Villeneuve-Saint-Georges on January 12, 1990 and his contract with Troyes expires on June 30, 2019.